The Department of Justice is reviewing whether Oakland Mayor Libby Schaaf obstructed justice when she warned constituents about an upcoming raid by Immigration and Customs Enforcement officers. 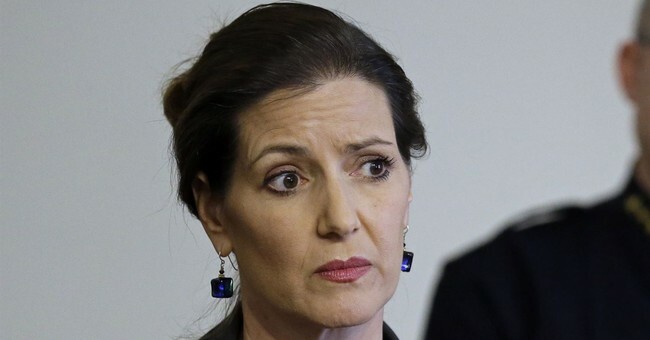 “Earlier today, I learned from multiple credible sources that the U.S. Immigration and Customs Enforcement (ICE) is preparing to conduct an operation in the Bay Area, including Oakland, starting as soon as within the next 24 hours,” Schaaf said Saturday. “As Mayor of Oakland, I am sharing this information publicly not to panic our residents but to protect them,” she added. Acting ICE Director Thomas Homan slammed Schaaf for giving the warning and said Wednesday the DOJ is “reviewing” whether she broke any laws in doing so. Homan suggested the number could’ve been higher if it weren’t for Schaaf’s warning, however. And on Wednesday she doubled down, saying, “I continue to feel confident that what I did was the right thing and it was legal."